Hours of Operation: 8 a.m. - 5 p.m. Monday to Friday. Weekends and off hours by appointment only. “No man is an island” is how the saying goes. All human beings are capable of needing emotional and intellectual companionship. This becomes more evident as one enters the dawning stages of human life, when one becomes more vulnerable or when someone temporarily or permanently loses one’s functions of daily activities. For the past 2 years, I have been volunteering to provide spiritual services to seniors in the nursing homes and homebound in my neighborhood. I have noticed that there are a few households wherein seniors prefer to live independently and in some cases, are living with a personal caregiver. On one occasion, I was asked by a member of my circle to help an elderly woman to get to her doctor’s appointment since her next of kin was not available to assist. It was not easy to look for a backup when something arises unexpectedly, that’s what I realized. Until one day, I found an ad at a community center about Driving Miss Daisy. It gave me an idea to contemplate on. I have dealt with people who have been bereaved, who have been transferred to a care home, seniors who have families who visit them only occasionally or seniors who just want somebody to talk to. I drive an elderly pastor once a week to attend a church meeting to and from his retirement home. In my previous work, I learned how to handle people of different age groups, from different walks of life, the elderly and those with special needs. I thought to myself that in this kind of work, I find joy, inspiration and satisfaction to serve. 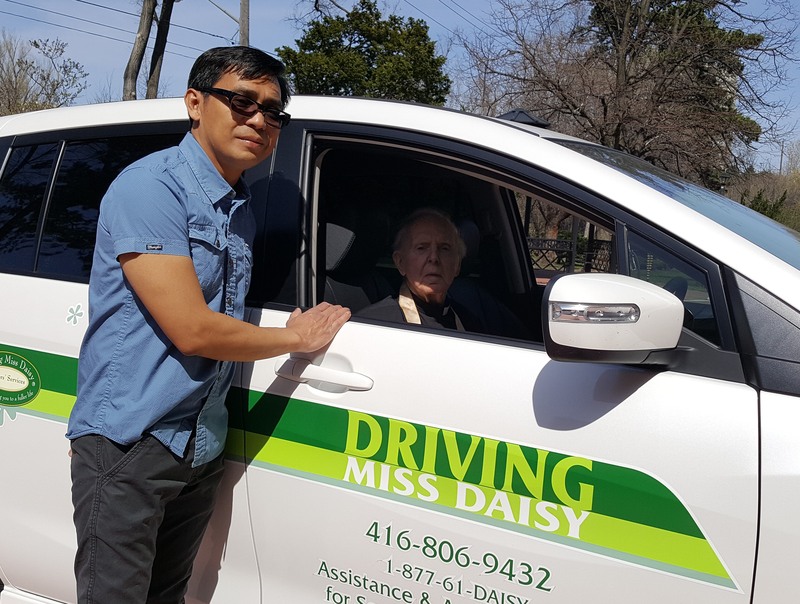 I am now starting my own Driving Miss Daisy service. I am your community. I will help you feel more secure and offer you a sense of more empowerment to yourselves, to live a more fuller life.